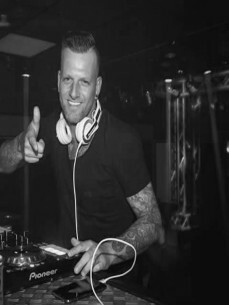 DJ Tinta, also known as Dave van der Hulst, was born and raised in Amsterdam. Early on he discovered his passion for dancing and music. After he has danced for years and has learned different styles, he has quite found his place in the Salsa and Bachata world. In 2010 he joined the Dutch Championships for Salsa and became 2nd. His greatest passion was to play Salsa, Bachata and all other latin music. From 2011 Dave decided to continue under the name ‘DJ Tinta’. Tinta has his very own identity and personality; always cheerful, positive and social. That’s what Tinta stands for. He puts in his effort to give an unforgettable evening for the audience.